Where past, present and future join for a special spa experience. 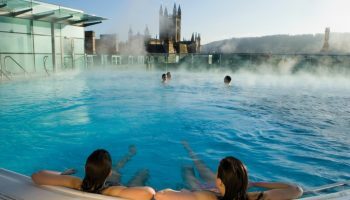 Now in the World Heritage city of Bath you can enjoy Britain’s only natural thermal waters as the Celts and Romans did over 2000 years ago. 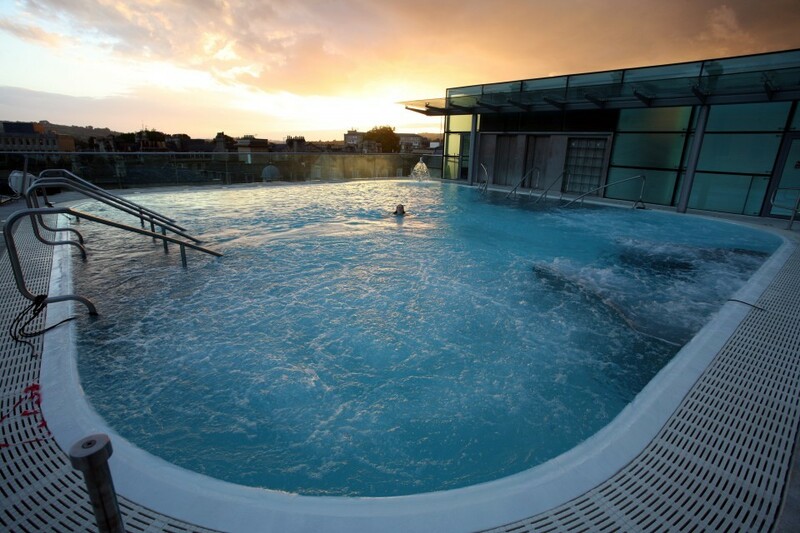 Thermae Bath Spa is an award-winning day spa, combining the ‘old and new’. 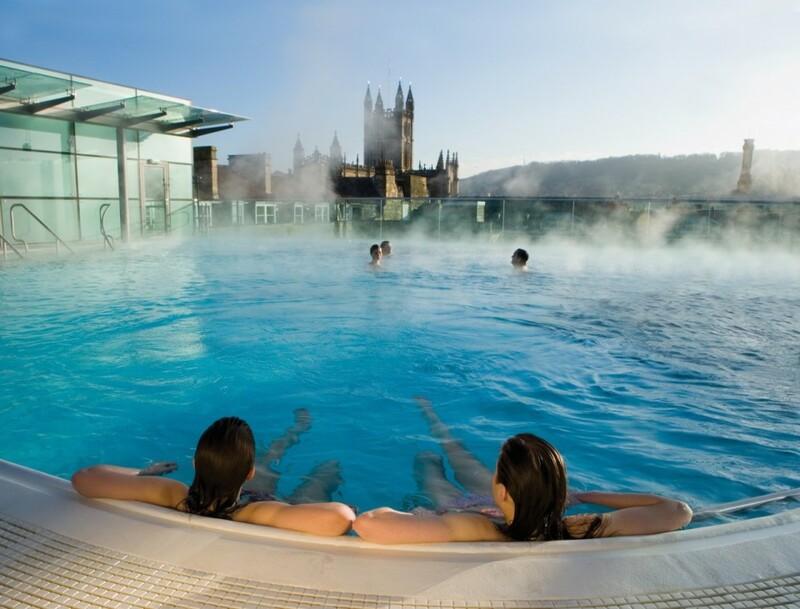 The historic spa buildings, the Hot and Cross Baths blend with the contemporary design of the New Royal Bath. Together, they offer bathing in the warm, mineral-rich waters and a range of spa treatments designed to ease the body and soothe the mind. The Spa Visitor Centre depicts the colourful history, culture and traditions that grew round this most famous of Britain’s spa towns. The Thermae Bath Spa Shop provides a selection of tempting spa products for you to take home. 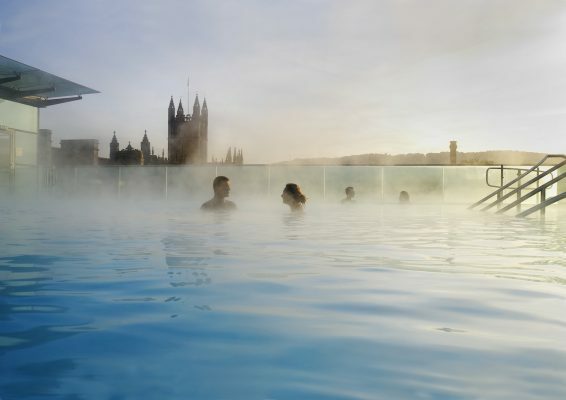 Whether you are looking for somewhere to meet, eat or simply chat with friends, you can relax and refresh your senses in the inspiring setting of Thermae Bath Spa. Treatments can only be booked along with a spa session and should be booked in advance by calling our Reservations team on 0844 888 0844 (From Overseas 44 1225 33 1234). Weekends are particularly popular. We require full payment at time of booking and do not accept cheques or Visa Electron. 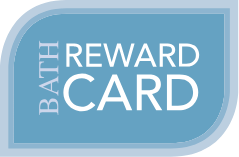 If redeeming a Spa package voucher, please quote your voucher number when making your reservation and bring it with you when you come to the Spa. 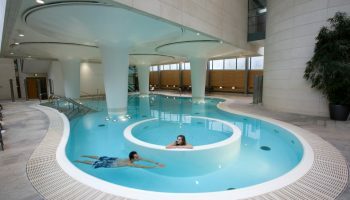 In the Cross Bath, children between 12 – 16 must be accompanied by an adult or guardian on a 1:1 ratio at all times and respect the restful nature of the Spa. Enjoy a 3 hour spa session for the price of 2 hours (Monday to Friday). 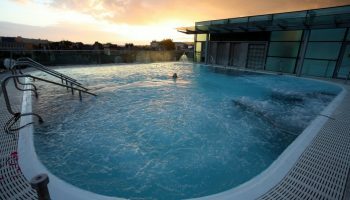 Thermae Bath Spa is a remarkable day spa where you can bathe in Bath’s natural thermal spring waters, including the open-air rooftop pool and indoor Minerva Bath. The New Royal Bath is a fusion of glass, stone, light and water. 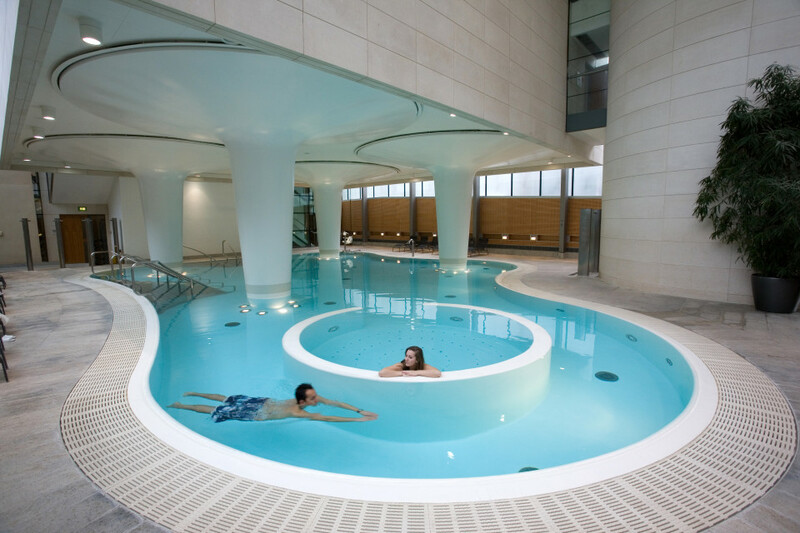 This creates a special setting in which to enjoy a Thermae Welcome (a 2-hour spa session and use of towel, robe & slippers). Relax in two spectacular baths, fed by the naturally warm, mineral-rich waters and refresh yourself in a series of aromatic steam rooms. Please note children under 16 are not permitted in the New Royal Bath. We do not take bookings for spa sessions in advance unless you are a group of 8 or more or are having a spa treatment. At weekends, group size is limited to 12. Breathe in the soothing vapours of the steam rooms, each of which is infused with an aromatic essence such as lotus flower or eucalyptus mint. A central ‘waterfall’ shower, interspersed with fibre optic lighting, provides a variety of sensations from the lightest misting of water to an invigorating tropical shower. All of the baths are fed by the naturally warm, mineral-rich waters from the springs which have made the city famous. The temperature of the water in all the baths is approximately 33.5 degrees centigrade and all the baths are 1.35 metres deep.